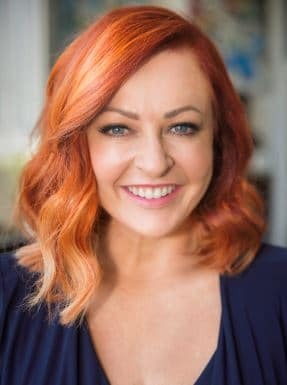 Shelly is a journalist and currently appears on Channel Nine a number of times a week with regular segments on TODAY, TODAY EXTRA, 3pm News and Weekend TODAY. She is also a lifestyle presenter for 9Honey.com.au, the host of 9Honey’s Sticky Situations and co-host of 9Life’s TV chat show Talking Married. Her 25-year career highlights include 11 years reporting for the ABC (radio and TV), eight years as a presenter on Channel Seven, six years as a journalist at Fairfax and five years as the South Pacific correspondent for Entertainment Tonight USA. Shelly offers both in-person and online media and presentation training for anyone who needs to step in-front of a camera and deliver a professional, confident and polished performance. Her major clients include SpecSavers, Fink Restaurant Group and David Jones. But her favourite training is with experts. She's trained hundreds of experts: chefs, doctors, bank CEOs, fashion designers, real estate agents, psychologists, personal trainers, dentists, body image advocates, magazine editors, bloggers, interior designers, influencers, cardiac surgeons and entrepreneurs. Not everyone wants to be a TV star (but if that’s your dream – let's make that happen) however Shelly believes everyone can polish the way they promote themselves and their business.